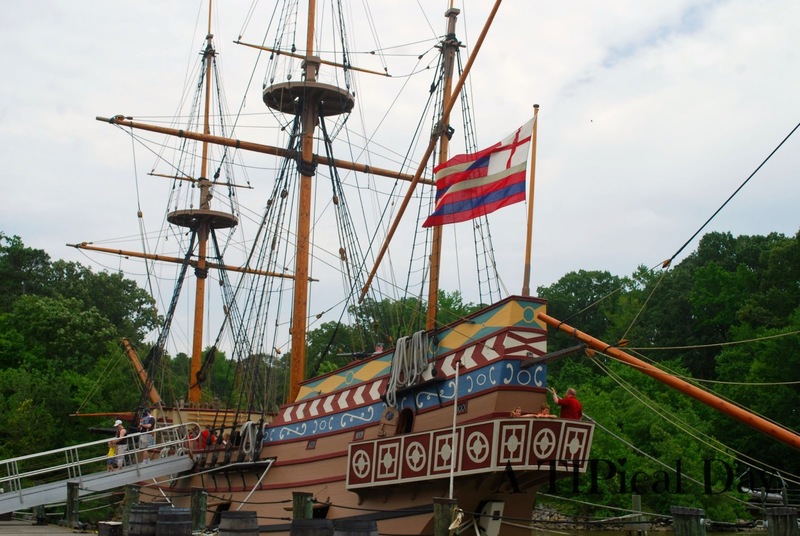 Jamestown, VA, named after King James 1 was settled in 1607 by some London entrepreneurs, known as the Virginia Company. The group desired to make profit by striking gold. By 1608 the settlement included colonist and a new community was born. 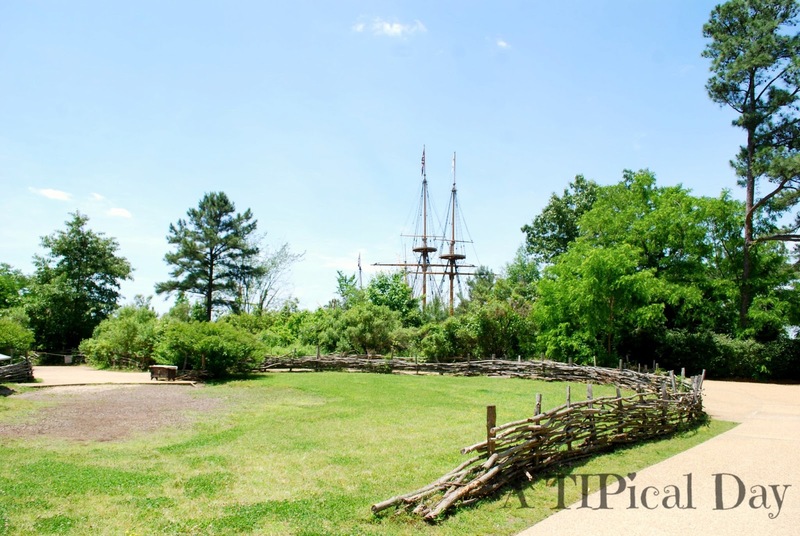 My family had the opportunity to visit this historically rich settlement while in Williamsburg, VA. Here are some tips we picked up from our trip. 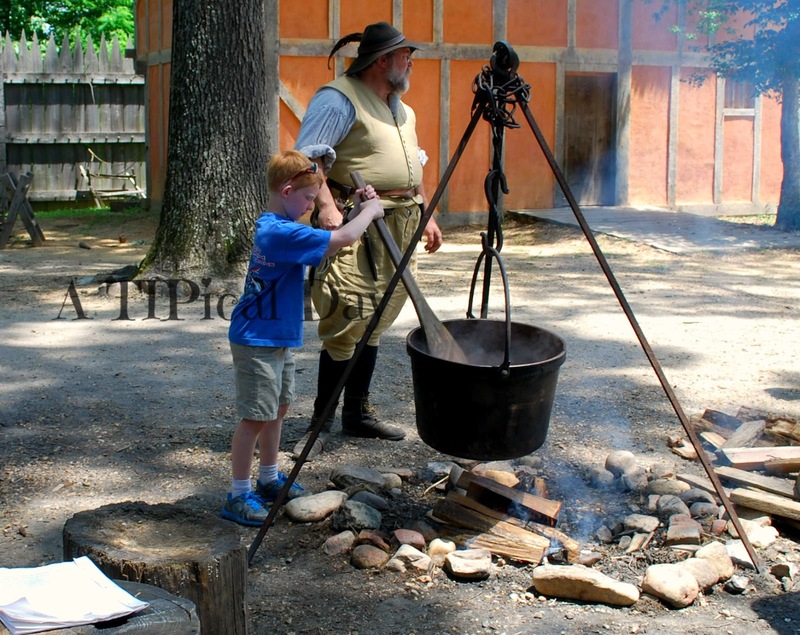 Jamestown Settlement offers a Homeschool Program each fall. 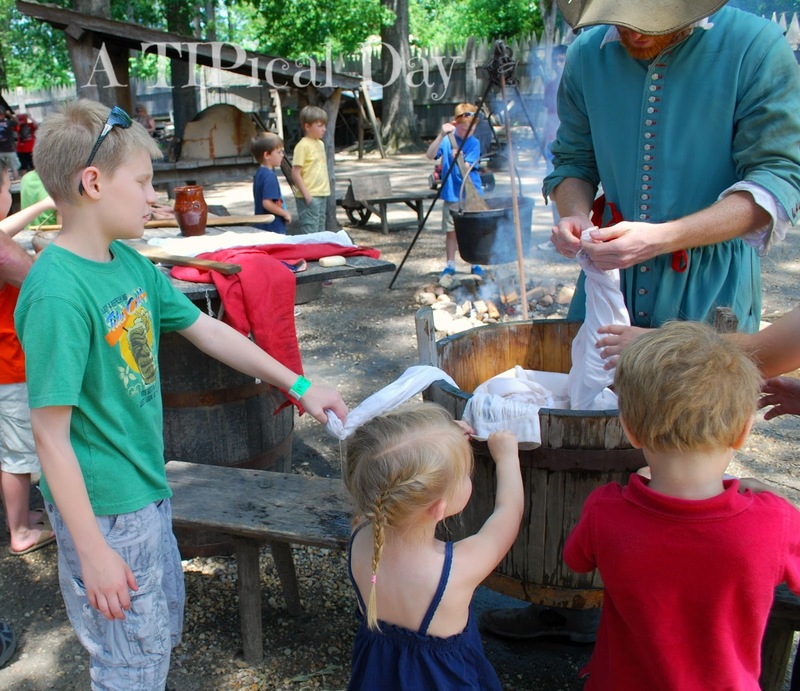 The days often fall during the same time frame as Colonial Williamsburg's, making a visit to both very easy. You can learn more about this program here. Homeschool discounts are offered year round. 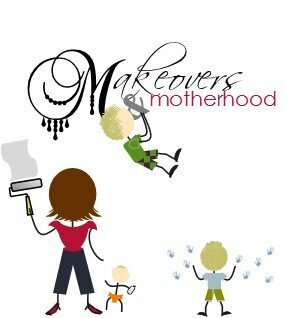 You must bring valid homeschool identification to receive the discount. It is only available to educators and students and must be purchased on site. A pass is available for purchase to allow you to visit both Jamestown Settlement and Yorktown Victory Center at discounted prices. Study with your children the history of Jamestown. 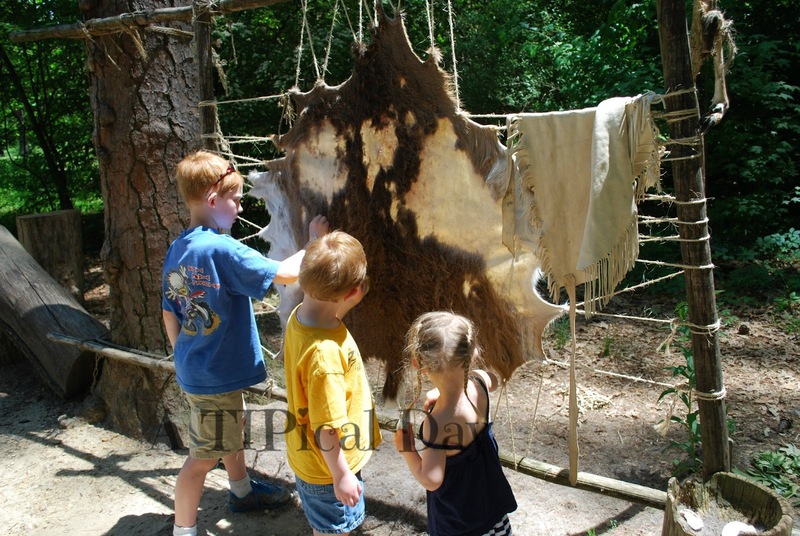 Children will enjoy learning about the Powhatan Indians and Pocahontas. Once you get your tickets, I suggest heading over to the Powhatan Indian Village. 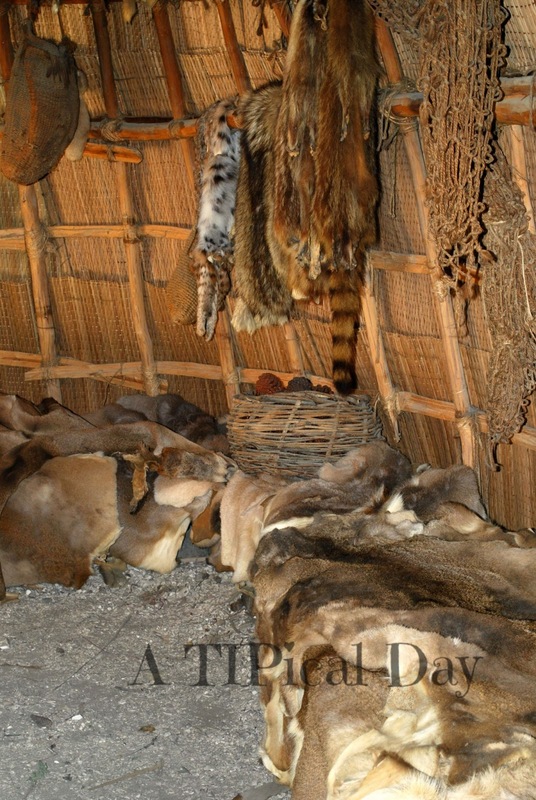 Be sure to walk through the Indian huts. Challenge your children to find which one belonged to the "Werowance" or chief. ***Hint: It's the one with the bear skin. 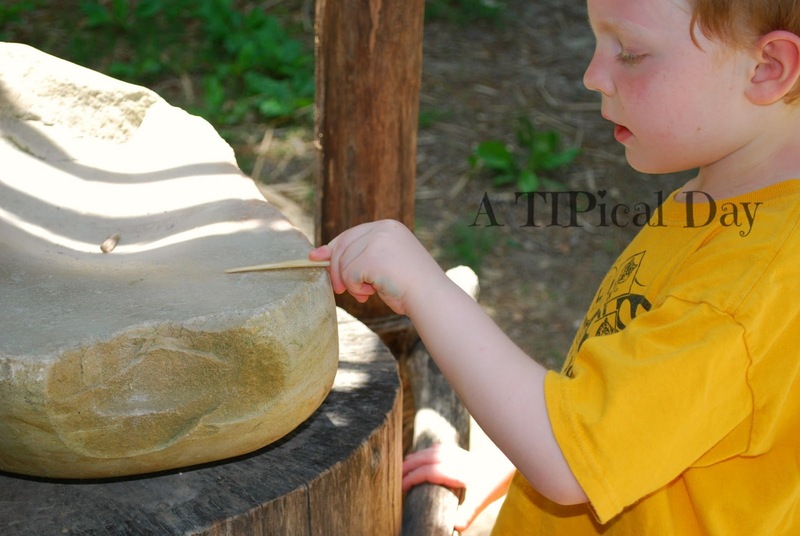 Learn about how they made their tools and even help to make some. Here Bud is sharping a sewing needle. Grab a shell and scrape away the hair on a deer hide. This is part of the tanning process. My kids spent a lot of time on this...I actually had to drag them away! Learn about how a boat would have been carved out and lend a hand if you have some extra time. Keep walking on down the path and you will shortly come to Jamestown Fort. This offers an amazing look at the settlers life. Try on some armor. My kids were amazed by how heavy it was. 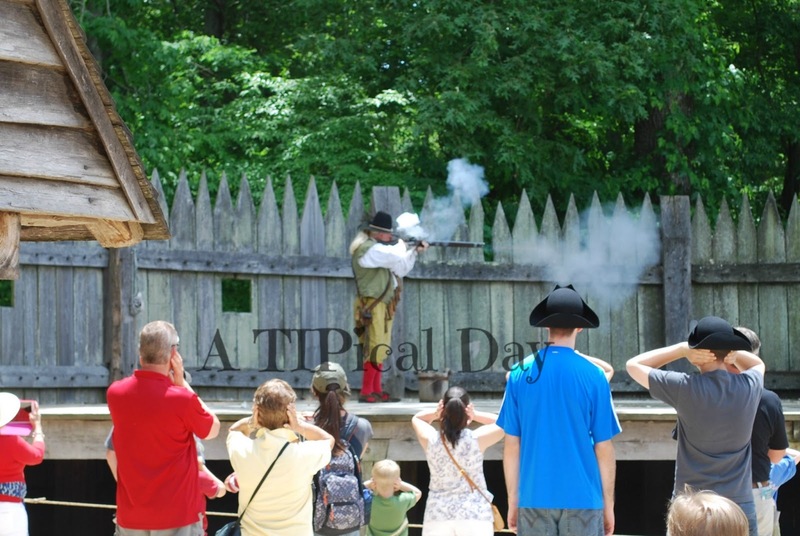 See a demonstration of a matchlock musket being fired. Heading back down the path my kids started to run as they noticed the masts of the tall ships. They loved touring Susan Constant, Discovery, and Godspeed, the three settlement ships. After you finish touring the settlement, head back to the visitors center for a snack in the café and a stroll through the museum. Be sure to head down to the historic location of Jamestown to see the glassblowers! This was our favorite spot of the day. I am not sure why, but I never took any pictures while there. I think I was just too enamored with the whole process. 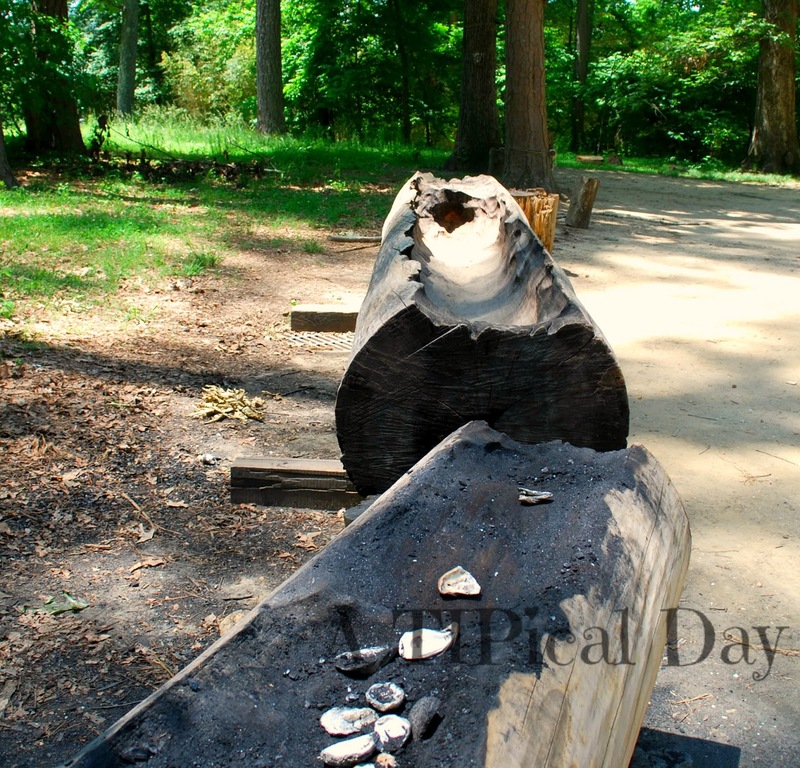 You can also go see the original archaeological site of historic Jamestown for an additional fee. 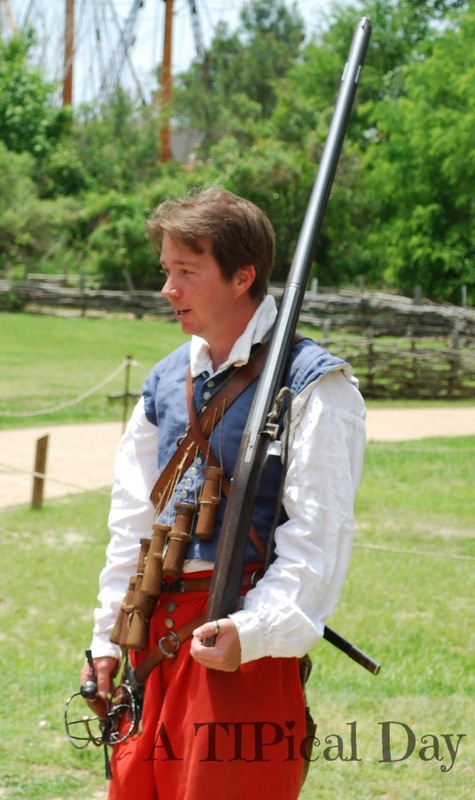 For information on visiting Colonial Williamsburg go here. *Note: This post contains an amazon affiliate link. 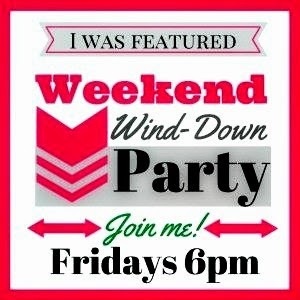 I will get a small kickback if you purchase something through this link. Thanks for stopping by. It was a fabulous trip for the kids. We actually had beautiful weather the day we went, which made it nice for the adults too! It's always nice to have a place where the kids can have fun and learn at the same time. What a great day! Thanks for visiting. All of Williamsburg area is great for families. 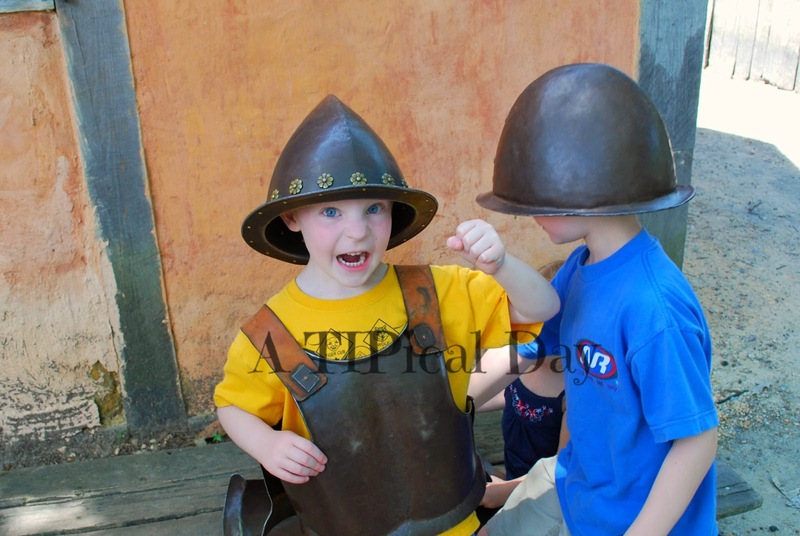 My kids really enjoyed Jamestown though because of all the wonderful hands on activities. It really was a great day! Thanks for the great info! I want to visit someday! I hope you get to go! It is so neat to learn about our Nation's history in a such hands on way! Thanks for continuing to host the hop! It is one of my favorite stops! :) My kids had so much fun dragging their grandparents around showing them all the cool things they were learning. I bet it would be a fun trip for you to do with your grandbabies as well!